The first 3D printer in space is scheduled to launch on Saturday, September 20 at 2:16 a.m. (Eastern) aboard the SpaceX-4 Commercial Resupply Mission. 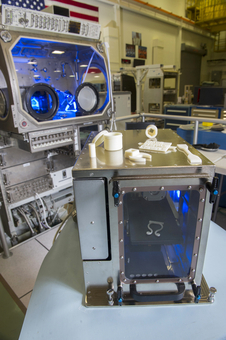 The 3D printer, manufactured by Made In Space , will serve as a technology demonstration for the use of an FDM style printer on the International Space Station (ISS) and future spacecraft. The goal is to give astronauts the ability to quickly and cheaply manufacture parts on demand. The Made In Space Portal 3D printer has a build volume of 50mm X 100mm X 50mm and will be ABS only. A second model, contracted for the International Space Station in 2015, will support multiple materials and a larger build volume. 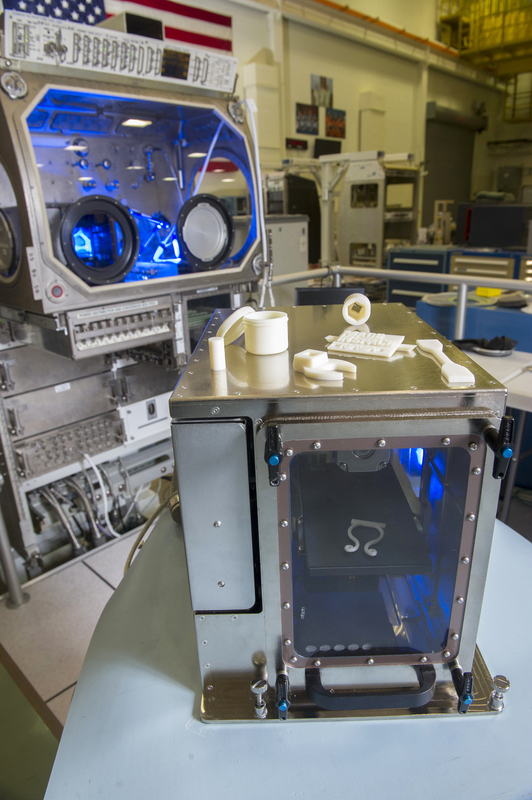 Many of the features of the Made In Space Portal can be found on current consumer 3D printers including an enclosed build volume with polycarbonate windows, remote video monitoring, and remote printing (via ground control). However, printing in space requires an extra level of features such as ruggedization to survive launch, thermal management, air filtration and optimization for printing in microgravity. The Made in Space team has flown over 400 microgravity parabolas and conducted 30,000 hours of testing in preparing the Portal for launch. The Portal will integrate into the Microgravity Science Glovebox (MSG) on the International Space Station. The MSG will provide a 28V DC power and 200W cooling capacity. Astronauts will have access to remove prints and change filament cartridges as well as perform maintenance tasks such as replacing a clogged print head or the electronics. More details about the mission can be found on the NASA 3D Printing In Zero-G experiment page. The printer itself fall under International Traffic in Arms Regulations (ITAR) so the Portal was unavailable for hands on testing in the Make 2015 3D Printer Shootout. Makers can participate in the mission by suggesting models to 3D print in space by tweeting their ideas using the #BeamItUp hashtag. A STEM program sponsored by ASME and NASA called Future Engineers will kick off in a week or two with CAD tutorials and challenges for K12 students. Students will have the opportunity to design parts and tools for space with one student design being 3D printed on ISS. The CityX Project is another STEM based project focused on design that challenges students 8-12 to use 3D printing to meet the needs of alien civilizations. A design by a 9 year old City X participant is also planned for printing aboard the ISS. The Portal won’t begin printing right away as other experiments are in line ahead of the 3D printer. We look forward to learning more details about the mission in the coming months.